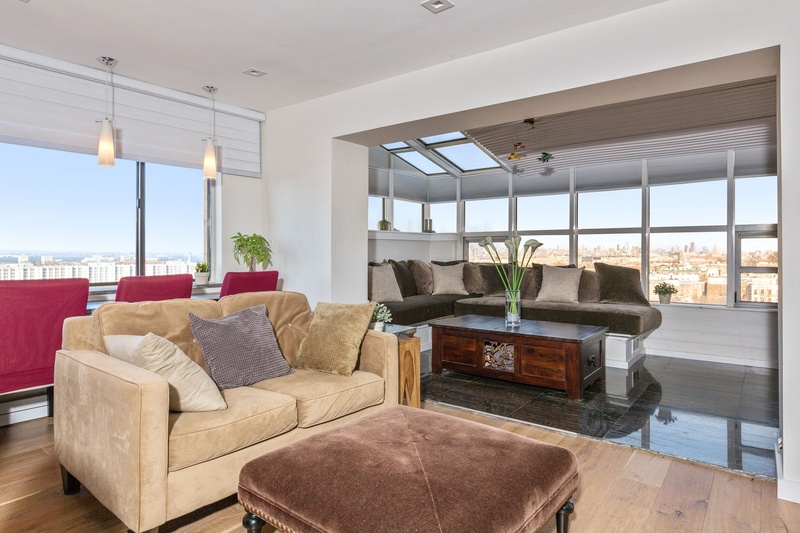 One of a kind triplex penthouse condo with spectacular NY City, Verrazano Bridge, Statue of Liberty and harbor views!!! 2 roof top garden terraces along with 2 more terraces and a solarium. State of the art renovations. Thermador kitchen, custom cabinets and granite counter tops. French custom wide plank oak floors. Heated bathroom floors. Heated solarium floors. 2 washers & dryers. Doorman building. Keyed elevator with complete privacy entering the triplex. 2300 square feet. Did I mention the panaromic, spectacular VIEWS!!! !